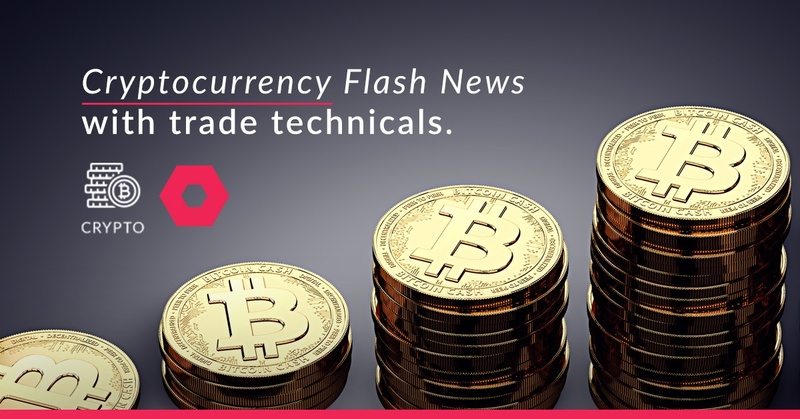 Bitcoin has broken down from the $6879 support level as highlighted in our crypto newsflash note from the 6th of August. The cryptocurrency lost over 6% and traded below $6500 on Wednesday as the price was moving back to the lows we saw in mid-July. Rival tokens also moved lower with Ethereum and Litecoin lower by 3%. The move lower was sparked by the announcement that the U.S. Securities and Exchange Commission (SEC) have postponed their decision on the listing of the long-awaited Bitcoin Exchange Traded Fund (ETF). SEC have until the 30th of September to decide on approving or to disapprove the listing of an Exchange Traded Fund (ETF). 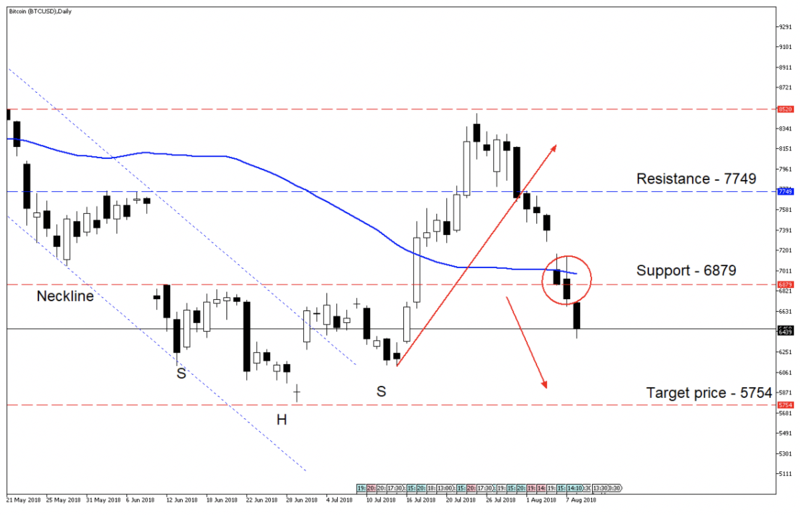 As seen in the chart below the $6879 support level did not hold and the price is currently moving lower due to the U.S. Securities and Exchange Commission (SEC) news. The price is also trading below the 50-day simple moving average (SMA) (Blue line) which is supporting the price move lower to a target price of $5754 per coin.